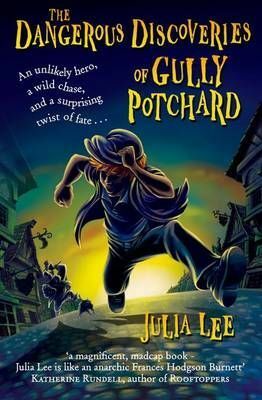 An improbable hero, a spine-tingling adventure, and a surprising twist of fate ...Gully Potchard never meant to cause any trouble. He's just an ordinary sort of boy ...at least that what he thinks. But when an old acquaintance comes knocking, it isn't long before Gully is tangled up in a mess of mischief and skulduggery. Cats and dogs go astray, a child is kidnapped, and ransom notes are delivered to the wrong people! But as a storm rages and a fire blazes, Gully discovers that he has an extraordinary skill that might just make him an unlikely hero after all ...Another unputdownable adventure from the author of The Mysterious Misadventures of Clemency Wrigglesworth!